A comedian with no political experience has won the most votes in Ukraine's presidential election. Volodymyr Zelenskiy, who plays a fictional president on TV, secured 30.2% of the votes, the Central Election Commission said after 50.4% of ballots were counted. Current president Petro Poroshenko is in second place with 16.6% and former Prime Minister Yulia Tymoshenko is ranking in third place with 13.1%. Tymoshenko challenged the accuracy of the exit poll and said she may contest the final result. The election is expected to go into a run-off vote on April 21 with the top two candidates facing off, as no candidate is expected to win a majority. In keeping with his casual campaign style, Zelenskiy’s election night venue provided a bar with free alcohol, table football, and table tennis games. 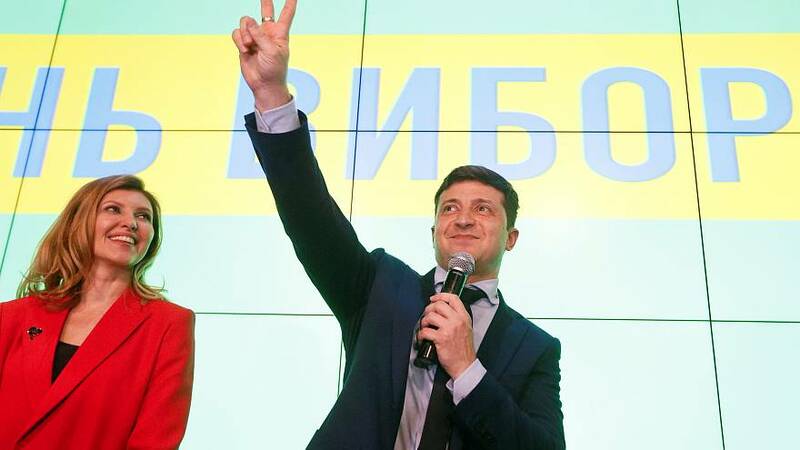 Zelenskiy, 41, has expressed pro-EU opinions and has proved popular with his appeal to voters who are fed up with corruption and has consistently led opinion polls, but Western officials and foreign investors are wary of his inexperience. Current leader Poroshenko said the result was a “severe lesson”, especially from younger voters and appealed for their support in the second round. Poroshenko has pushed to integrate Ukraine with the European Union and NATO and has strengthened the military and has made the Ukrainian Orthodox Church become independent of Russian control. Whoever wins the vote will inherit a conflict between Ukrainian troops and Russian-backed separatists in the east, after the West’s standoff with Russia after the 2014 Maidan street protests forced out the former pro-Russian President Viktor Yanukovych and Russia annexed the Crimean peninsula. Ukraine's economy also hangs in the balance, as the next leader will decide if the country will push reforms required to keep the country in an International Monetary Fund bailout programme.